How Will You Improve The Fuel Economy Of Your Trailering Equipment? If the tires of your car hauling trailer have less pressure in them, it can force your entire setup to drag itself along the road, thereby degrading fuel mileage. In addition to that, low pressure can also generate enough heat to trigger tire failures. Thus, you ought to make sure that your trailer tires have just the pressure recommended by the manual. Avoid the rating provided on the body of the tires. In case you are still a newbie in the trailering industry, you need to know that it is very important to recover from complete halts by accelerating slowly and steadily. And if you want to make the best use of fuel, then always drive 5 mph slower than the speed posted on the signs. By default, your trailer has protective bearings that lube the hubs properly. But you will have to check those bearings regularly to see whether they have ran out of grease or not. And for doing that, you simply need to press the piston that has been loaded with a spring. If there is enough grease, the hub would rock slightly back and forth, instead of compressing entirely. Your trailer’s appropriate tongue weight has to be about 5 to 7 percent of the total tow package that consists of both the load and hauler’s weight. This can effectively reduce swaying and fishtailing, which in turn would aid in spiking up the fuel performance. Thus, if you wish to use the fuel for your trailering equipment judiciously, you ought to follow these measures. 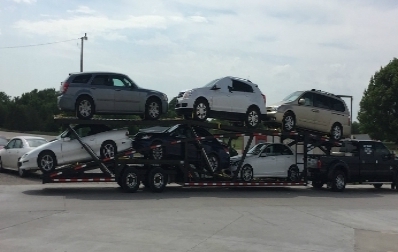 Planning to buy a new car hauling trailer for your business? Check out the top notch and heavy duty products that we have got on offer at Infinity Trailers. If you liked this post, then stay tuned to our blog space for more.